Comicbook.com has announced that the incredible Joe Kelly comic, I Kill Giants will be adapted into a movie. Looks like Mark Millar has another media deal. MPH, the yet to be released comic out 5/21/14 has already been optioned for a movie. 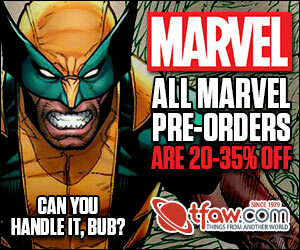 I love when non-comic book sites take notice of comic books. Motley Fool, the investment site, ran an article in the final days of 2013 that I stumbled across and found interesting. 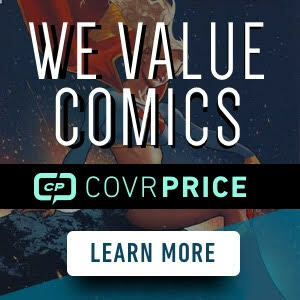 It is on the subject of investing and comic movies, well, that is what we do hear, just in a different way than I think they were talking about. Take a look at the comic movies that made the list. Thanks to Terry Hoknes at www.hoknescomics.com for this story. , The Break-Up ) has signed on to direct ‘The Fifth Beatle: The Brian Epstein Story’ , the film adaptation of the recently released New York Times best-selling graphic novel (JUL130016V, $19.99) chronicling the final years of The Beatles’ founder and manager, Brian Epstein. The film is being produced by Academy Award winning producer, Bruce Cohen (American Beauty, Silver Linings Playbook) and Tony Award winning producer, Vivek J. Tiwary (“A Raisin in the Sun,” Green Day’s ‘American Idiot’ ) who authored the graphic novel. This marks the first ever feature film about The Beatles to secure music rights to their songs granting unprecedented access to the Lennon/McCartney music catalog. The screenplay is written by Tiwary, the project is slated to begin production in 2014 and the casting of the Brian Epstein role will begin now that Reed is on board. “X-Men” Director Bryan Singer announced over twitter that a new X-Men Movie titled “X-Men Apocalypse” would be coming out in 2016. Gritty superhero noir story Sleeper by Ed Brubaker is being picked up as a movie. The book Sleeper, put out through Wildstorm is being helmed by Matt Damon and Ben Affleck. Damon and Affleck are producing the movie through the Pearl Street production company.